According to the new rules, which still need another legislative procedure to enter into force, the power limit for access to the sale of surplus energy to the network has been raised from 100kW to 300kW. (PV Magazine Latam) The Chilean government seems to have found a final formula for the changes to the bill that modifies Law No. 20,571, distributed generation, also known as net-billing. Although, in fact, there have not yet been any releases or official documents on the new provisions, the Chilean solar association Acesol has revealed to pv magazine which would be the essential points of the new rules, according to which the surplus of energy will now always be paid injected into the network, but with rules. In case of installations with power of less than 20 kW, all excess will be paid and also for power generators of up to 50 kW in the case of non-profit legal companies. The excess will also be paid for installations of up to 300 kW of power that are designed in size only for self-consumption of the same property. That means that projects in this category can not be oversized. The power limit for access to the program was increased from 100 kW to 300 kW. The option that this limit could be raised with a transitory standard to 500 kW in 2020 was, however, declared inadmissible. The new provisions will also allow virtual net metering and discounts for community systems. "There is still a legislative process, but we are sure that there will be no changes," told pv magazine Marcela Puntí, manager of Acesol. Andrés Rebolledo, Minister of Energy of Chile, announced last December on his Twitter account that an amendment to the law had been proposed. According to the latest statistics published by the National Energy Commission of Chile, the power installed under this scheme has reached approximately 19 MW three years after the law regulating it came into force. ESPEJO DE TARAPACÁ, Valhalla Energy: The project that would put Chile on top of the world's clean energy. Since some years, Chile has made the decision to diversify its energy matrix and start producing clean energy, and the source that they have boosted over another has been solar energy. Sustainable energy is an opportunity that transforms life, the economy and the planet, which is why in the Sustainable Development Goals by 2030 it is considered No. 7 "Guarantee access to affordable, safe, sustainable and modern energy for everybody”. Considering that Chile started a real energy revolution and has gone from 5% to 19% of installed power in non-conventional renewable energies (NCRE). One of the major projects that are being promoted is the Solar Technology District located 20 kilometers north of the city of Diego de Almagro, in the heart of the desert and will be the largest solar project in Latin America. The first solar technology district in Chile is a generation park that will use a technological mix based on the solar concentration of power, this technology generates energy through the use of a field of heliostats that are mirrors that concentrate solar energy at a point located in a tower, with the heat of the sun, a fluid of salts is heated, which is then used to produce steam, which enters a conventional turbine to generate energy. This technology allows to store the concentrated heat during the day, which enables the generation of energy even when there is no sun. The solar technology district contemplates the construction of a solar energy generation park and an eco-industrial park, taking advantage of the solar resources of the north to contribute to a process of sustainable industrialization. It should be considered that the Atacama Desert has the highest solar radiation worldwide, given its location in height and that there are few atmospheric components that deflect the sun's rays. To this is added the average 4,000 hours of sunshine and that has 65% more UV-B radiation than Europe, which is another area of the planet where clean energy and especially solar have grown rapidly. The solar technology district of Diego de Almagro will contribute to the productive transformation and energy transition of our country and will allow us as a country to have an expectant position, where Chile could become a possible exporter of clean energy to the world. This, on the one hand, generates us a source of clean energy and at the same time a new industry that in the following years will need various professionals and specialized technicians since the Government has declared that it wants to reach 90% of its energy production with NCRE by 2050. This challenge involves diverse actors, both public and private, national and foreign and requires in turn to go hand in hand with a citizenship that develops awareness in the efficient use of energy. With an investment of US$211 million, "El Pelícano" has a power of 100 MW. Yesterday the "El Pelícano" solar park was inaugurated in the municipality of La Higuera, an initiative of US $ 211 million that marks a milestone by allowing Metro de Santiago to become the first company of its kind in the world to have 60% of its energy consumption supported through clean generation. This, thanks to the fact that all the energy produced by this plant will be sold to the company through 15-year contract. The new plant, which was inaugurated yesterday by President Bachelet, has a photovoltaic solar power plant of 211,554 solar panels, in an area of 174 hectares and has a power of 100 MW, equivalent to supplying an average of 120 thousand homes. The President highlighted the potential of our country in this type of energy generation, which consolidated the Coquimbo Region in this area at a national level. The downfall of the fossil fuel: solar and wind energy already takes 60% of the investment. Generating technologies from wind take most of the points, with US$ 3.3 trillion. 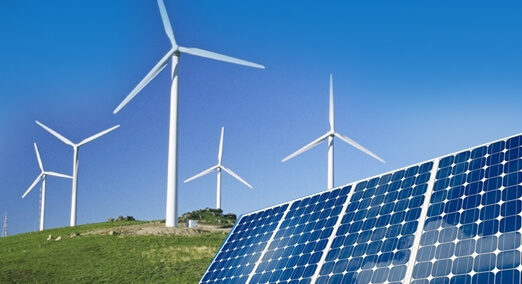 Solar and wind energy continue to be established as a reality, and are gradually becoming the favorites of investors. 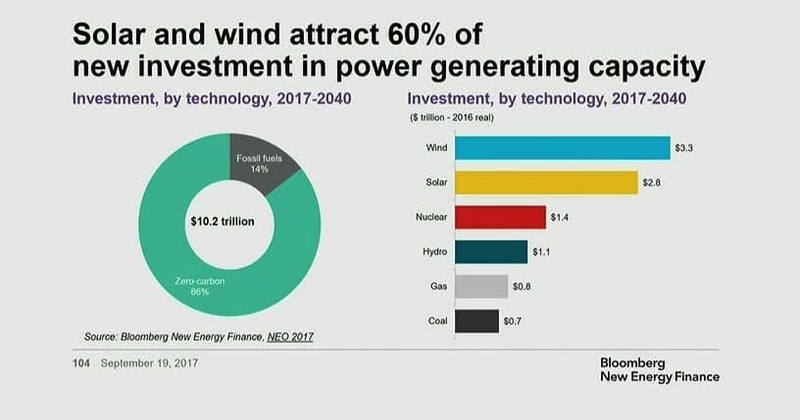 According to Bloomberg New Energy Finance, 60% of the investment in energy generation technologies between 2017 and 2040 is being taken by solar and wind alternatives. As can be seen in the graph, US$ 3.3 trillion goes to generators through wind, while US$ 2.8 trillion in solar technology. In proportion, a smaller part is being directed to gas and coal, fossil fuels that already appear of falling against other clean alternatives. Global photovoltaic capacity will overcome nuclear power this year. This year's solar energy forecasts have been lowered slightly but there seems to be no reason to worry. Even with a downward adjustment of 4 GW at the planned facilities, once again the new additions of solar capacity will set a new record in 2017. The 81 gigawatts that are expected to be installed this year are more than double the solar capacity installed in 2014 and 32 times more than the solar deployed a decade ago. In 2000, global facilities totaled 150 megawatts. These are the data highlights of the latest edition of GTM Research's Global Solar Demand Monitor, which closely monitors market movements and the evolution in all countries around the world. One of the most revealing data is that by 2022, global capacity will probably of 871 gigawatts. That capacity is about 43 gigawatts more than the cumulative wind power planned for that date, and more than double the current nuclear capacity. In fact, by the end of this year solar photovoltaic could will compete with global nuclear capacity. And this is an important milestone. According to the Nuclear Energy Institute, there are 391.5 gigawatts of nuclear power plants operating worldwide. By the end of the year, there will be approximately 390 gigawatts of solar photovoltaic plants scattered around the world, according to GTM Research estimates, and the final figures could be higher, as prospects for China are growing at a stronger pace. 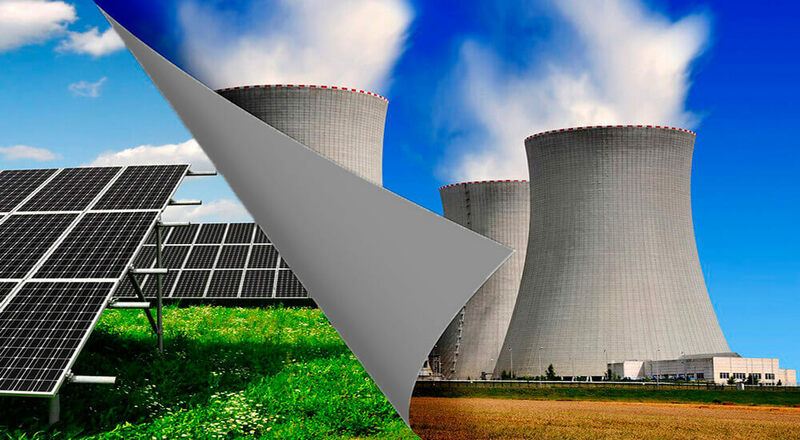 For the first time, solar power plants and nuclear power plants will be the same, at least in terms of gross capacity, although when it comes to electrons, production is another issue and nuclear continues to dominate. Nuclear power generates 2,476,671 gigawatt-hours of electricity each year, accounting for approximately 11% of the world's generation. Solar energy represents only 375,000 gigawatt-hours of electricity per year, or about 1.8% of the global generation. The generation gap is significant. But the solar walk with a firm foot. In 2014, the International Energy Agency examined the growth rates of solar photovoltaic by the middle of the century. Under a high-growth scenario, which basically reflects the current real-world scenario, the IEA found that the world could obtain 16% of the electricity from the photovoltaic source in 2050 and another 11% of solar thermal energy. That would make solar the main source of energy worldwide. Over the past three years, growth rates and cost reductions for solar energy have far exceeded projections. Meanwhile, high costs, slow construction and competitive renewable alternatives are causing the global nuclear industry to stagger. The trend, with each passing year, is clearer. Technology of Solar Photovoltaic Industry gonig to be developed in Chile. CORFO announced the award of the program for the "Development of technologies for the photovoltaic solar energy industry in Chile". This project, a pioneer in the country, will finance the creation of a consortium whose main objective will be to develop technologies that adapt to the unique conditions of the Atacama Desert; high radiation and extreme arid climate, in order to boost the development of the solar energy industry in Chile. Four proposals were submitted, finally being awarded the resources to the consortium called "AtamoS-TEC" led by the Antofagasta University, which has as co-executors the University of Chile, Federico Santa Maria Technical University, Concepción University, Adolfo Ibáñez University, CEA INES (France), ISC Konstanz (Germany), Fraunhofer Chile, Phibrand SA, and as partners to Colbún, Mondragón, Cintac, Ecovisión, Solarpro, Innova Renovable, Snare, Syntec, Borg, Ecoenergías, Fotcast, Geogrow Spa, Novalquimia, New Energy, Solcor, Tecno Andina, Venergía, Adrox Spa and Vidrios Lirquén SA. It is important to note that this initiative was realized after an arduous evaluative process, carried out by a committee of national and foreign experts, led by Stefan Nowak, president of the International Energy Agency's IEA Photovoltaic Program and coordinator of the European Project H2020 SOLAR-ERA.NET, which has more than 15 national and regional R + D + i programs in the field of solar energy technologies. Regarding the winning project, the executive vice president of Corfo stated that "this consortium, composed of prestigious national and foreign institutions and with a significant contribution of private co-financing, constitutes a new generation technological consortium; in terms of clarity and focus, technological, economic and productive; and the link between the university and the challenges of industrial productive development. We are very motivated with this initiative, we sincerely believe that it can have a decisive impact on solar development in northern Chile." The creation of the consortium responds to a priority initiative of the Roadmap of the Strategic Solar Program, which seeks to take advantage of the unique characteristics of the Atacama Desert to adapt and develop technologies for the solar photovoltaic industry of the country, in terms of durability and expected yields. In order to reduce the level of energy costs to a target of 25 USD / MWh per year by 2025, with special emphasis on the development and strengthening of local suppliers to create a sophisticated industrial fabric aimed at providing goods and services for industry national and for export. In this sense, Eduardo Bitran, said that "Chile's potential in this area is enormous, so it is essential to be able to address the singularities of the atacama desert that generate difficulties in the integral use of solar energy through photovoltaic technology. This consortium has the task to face these challenges through the development of technology, research and innovation, and very specific goals for a period of no more than 10 years, where they have to be able to halve the generation cost with photovoltaic energy, addressing the specific problems facing the Atacama Desert. If we achieve this, Chile will be able to change its productive, industrial and mining structure, especially in the north of the country. " The Atacama Desert receives the highest solar radiation in the world and a high average of hours of sunshine a year, both conditions are unbeatable for the development of a solar industry, but at the same time pose a great challenge for the durability of the industry supplies (panels, wiring, transistors, etc.). It is because of these particular conditions that the technological development to count on products that adapt to the conditions of the Chilean desert, it is radical for the impulse to the national solar industry. Corfo's technological program "Development of Photovoltaic Solar Energy Technologies for Desert and High Radiation", recently awarded, opened its applications in 2016, and had a great process of animation, in which they called companies and centers and technological institutes, universities and national and foreign entities. As part of this call, in December 2016, a "Field Trip" was held in the Atacama Desert where the interested parties were able to know the particular conditions of the Chilean desert and visit some of the solar power plants already installed in the area. 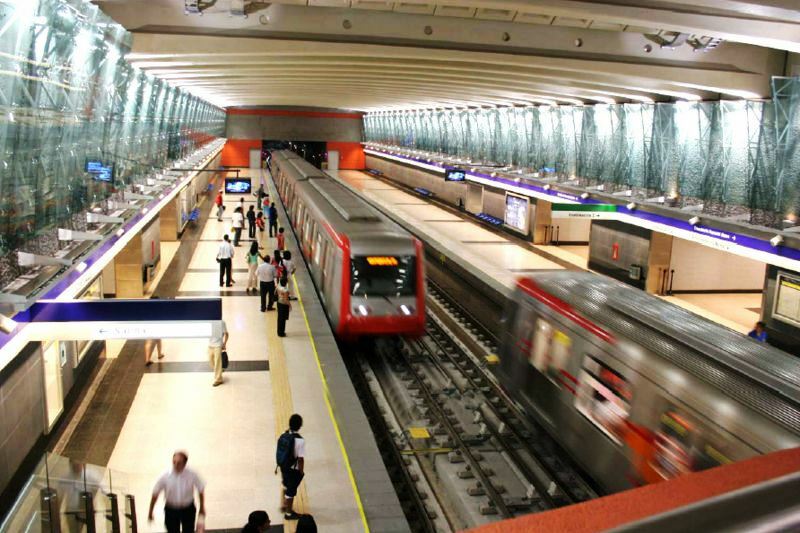 Corfo's program, which has resources from the Strategic Investment Fund (FIE) and the Competitiveness Innovation Fund (FIC), will co-finance up to 70 percent of the total cost of the awarded project, equivalent to a maximum of up to 8 thousand million chilean pesos, under the modality of non-refundable subsidy, for a term of maximum of 10 years. The boom of solar energy in Chile: Almost US $ 13,000 million in this folder, wind generation projects totaling nearly US $ 7,800 million. Chile has to date 2,267MW from alternative renewable sources in operation, led by wind power and the solar energy in second place. The portfolio of projects with environmental qualification resolution approved is essentially solar and wind, repeating figures among those projects that have environmental assessment entered in the last third of the year. In fact, solar initiatives add (among those approved and environmental qualification resolution), US $ 12.986 million, while the wind US $ 7,774 million. 2015 will culminate with more than 1,000MW additional ERNC, of which over 800 MW will be solar, so, at the end of this year almost 50% of the matrix will be solar, highlights the latest report from the National Center for Innovation and the Sustainable Energy Development, depending of Corfo. n May, seven new environmental qualification resolutions favorable to ERNC projects, five of them for new projects and two projects previously entered changes were published. The new projects are to 268,5MW solar photovoltaics and 110MW solar photovoltaic and concentrated solar power (CSP) corresponding to the Atacama II of Abengoa plant. As for new projects submitted for evaluation, there are two photovoltaic solar, and one wind initiative, totaling 185MW and 30MW, respectively. Energy from 2,771GWh central ERNC accumulates so far in 2015, representing 9.42% of the national grid and the injection law recognized by more than doubles the obligation under Law 20.257. In May, the biomass led with 193GWh, followed by 177GWh wind, the source with the highest installed capacity in the country. Third include mini hydro plants, with 105GWh in the fourth solar plants, which contributed 94GWh, and finally the biogas, with 23GWh. The injection ERNC accumulated in 2015 amounted to 2,771GWh, representing 9.42% of the national grid. Biomass leads with 959GWh, followed by wind power (676GWh) and mini hydro (538GWh). Bloomberg: "Chile is by far the South American leader in solar energy"
A study published June 30 and that the Ministry of Energy noted, says that Chile will have a record capacity addition of renewable clean energy 1.1GW end of the year, with 680MW of photovoltaic projects and 419MW of wind power. Bloomberg estimated investment for projects of Non-Conventional Renewable Energies (ERNC) for 1.2 billion dollars in our country only in the first quarter of 2015. In 2015 ERNC investment for new projects in South America will focus on Chile and Uruguay, with both attracting 1.2 billion dollars for sustainable energy projects so far this year, according to the latest study published by Bloomberg. It projects a new record year for solar photovoltaic installations in South America, with 800 MW of new capacity installed by year end and most of the projects located in Chile, continuing the trend of 2014, as is clear from the study. "South America Market Outlook: Chile and Uruguay continue to lead the way", was published on June 30, 2015 by Bloomberg and delivers the latest news on the energy market, new policies, investments and the development of renewable energy projects in nine South American countries, excluding the giant continent, Brazil. In 2015 Chile will have a record capacity addition of renewable clean energy 1.1GW at end of the year, with 680MW of photovoltaic projects and 419MW of wind power. Bloomberg estimated investment for projects of Non-Conventional Renewable Energies (ERNC) for 1.2 billion dollars in our country only in the first quarter of 2015. Between 2015 and 2019, renewable 6GW capacity in Chile will join and half will correspond to solar and wind power, while the rest will be divided between hydropower and fossil power plants. Patricio Goyeneche, an analyst at the National Center for Innovation and the Sustainable Energy Development (CIFES), explains that "2015 will culminate with more than 1,000MW additional ERNC, of which more than 800MW will be solar. At year end, nearly 50% of renewable matrix will be photovoltaic solar. " According to the latest report CIFES (June), on the state of ERNC in Chile, today has 2.267MW in operation and 2.257MW under construction, of sustainable energy. "Chile is by far the South American leader when it comes to solar energy. The country has 0,5GW of installed photovoltaic capacity, far more than the giants of Mexico and Brazil. In fact, most of the solar projects are in the country and consist of connected projects, "says the study. Begin building what will be the largest solar plant in Chile begins. The photovoltaic park "Finis Terrae", consists of a total installed capacity of 160MW and is owned by five companies controlled by Enel Green Power Chile. 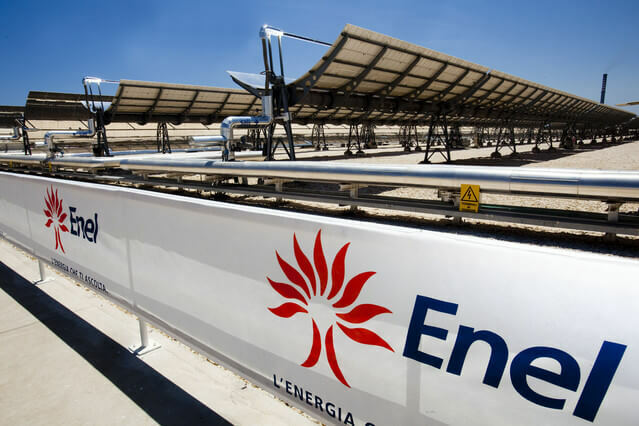 Enel Green Power (EGP) has begun construction of a new solar plant in the Chilean region of Antofagasta (north) which, after completion, will be the largest photovoltaic installation in the country, reported the company. The park is called "Finis Terrae", consists of a total installed capacity of 160MW and is owned by five companies controlled by EGP Chile. It will be able to generate more than 400GWh a year, equivalent to the annual electricity consumption of nearly 189,000 Chilean households and avoid the emission into the atmosphere of more than 198,000 tons of carbon dioxide each year. For its construction, EGP invest around US$ 270 million (220 million euros), which, as highlighted in the note, "is located into the growth targets set in the current business plan of the company. Its launch is scheduled for the first half of 2016 and the energy generated is provide Transport Network Region North Andean country (SING, Norte Grande Interconnected System). The project is supported by a power purchase agreement signed long-term with the Empresa Nacional de Electricidad S.A. (Endesa Chile). EGP operates in Chile with several projects reaching an installed capacity of about 600MW, of which 340 MW comes from wind power, solar photovoltaic 154MW and 92MW of hydro capacity. Moreover, the multinational is currently developing other projects under implementation with a installed capacity to 600MW and investigates a series of concessions in the field of geothermal energy. 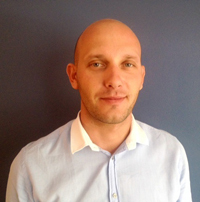 Marcelo Favereau, Information Technology (IT) Manager of Geodrill Ltda. Geodrill Ltda. has launched a new web site with Responsive Design due to the new demands of Google because websites that do not have a design response will be affected by the new update to its algorithm on which sites they are not optimized for mobile devices lose rank in Google search results made by these devices, which will adversely affect the level of visibility and therefore the rate of catchment of organic traffic. Responsive design will be key in the SEO positioning since 21 April this year. Google has officially recognized the responsive design as a key factor in positioning SEO (Search Engine Optimation) Web page, its main objective is to offer a better user experience across web browsing through mobile devices, the leading to obtain the most accurate results and effective regardless of whether it's a website or an application. Recent statistics have shown the rapid growth of this market in the country, so, poor optimization of your website, not having a responsive design, you could just erase the SERPs (Search Engine Results Pages) to Google in the searches from mobile devices. Google has provided webmasters a simple tool that just enter the URL of your website, check if it is optimized for mobile devices. Is responsive design my web site? Roberto Dalsaso, Operations Manager in Geodrill Ltda. Geodrill Ltda. 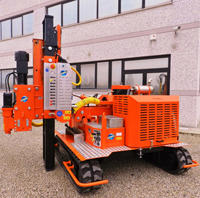 Has decided to acquire a fourth self propelled pile driver Pauselli. As Operations Manager I see directly the performance of these machines in the field; They are easy to use, have a hydraulic and electrical system of low complexity and Deutz engines with technical support and spare parts service nationwide. Because we have equipment Pauselli have reached high levels of average of pile driving of 175 piles and up to 290 piles in some job sites. Our operators and equipment are certified by ABS Consulting, delivering reliability of the procedures used in ours operations. In response to the demand of drive piles with more than 4.0 meters long, is that we have incorporated into our equipment, mast extension that allows us to drive piles up to 4.40 meters, being used for the first time in the Project Andes with excellent results in irregulars terrains. This confirms the trust in the future of our company. We have an excellent team of works and machinery with the best technology. Chile hosted the launch of "Decade of Sustainable Energy for All in the Americas"
ONU proposal seeks to provide energy access universal and self-sustaining manner. "Decade of Sustainable Energy for All" is the name of the campaign that the United Nations General Assembly in 2012, laid the foundations for a sustainable energy project, to ensure universal access to services for this and thus double the amount renewable electricity in the world. 2014, Chile hosted the launch of "Decade of Sustainable Energy for All in the Americas" and for this inauguration, Hans Schulz, vice president of the Inter-American Development Bank, IDB, deepen on the "goodness of Latin America for its multiple water resources". A stage that allows generation 60% based on this form of production. Another point highlighted by Schulz, was aeolian development in the region, which he said already eight countries exploiting aeolian energy on a massive scale, stressing the Uruguayan case which he said could produce 30% of total consumption energy end of the decade. 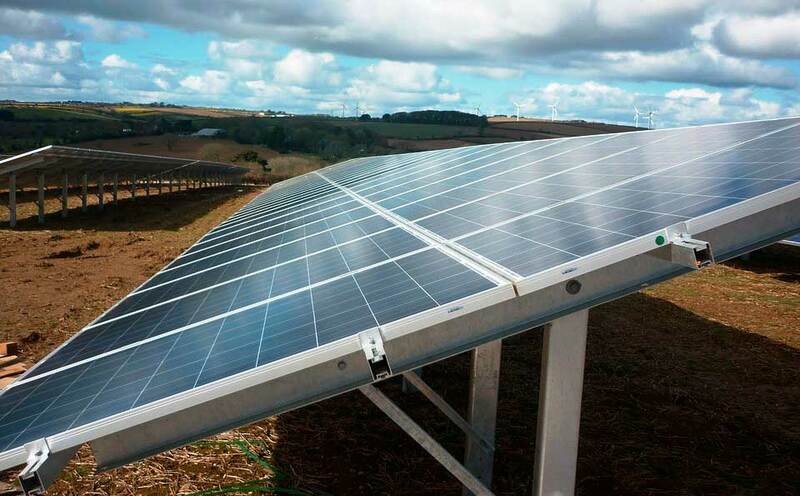 The IDB Vice President referred to the Chilean case, assessing their potential in the field of solar energy, highlighting projects that have been developed in the country. 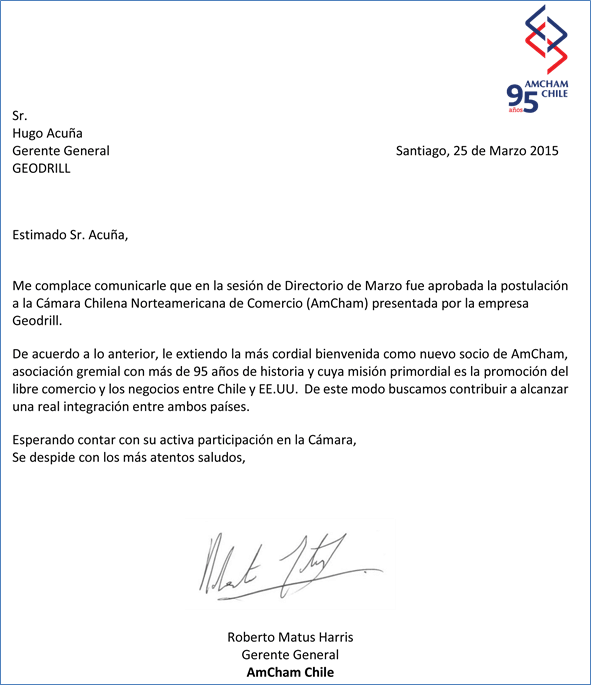 The big "goodness" of Chile, he explained, is located in the north, being the great producer because Atacama has one of the "major sources of solar radiation in the world." To know more about the initiative "Decade of Sustainable Energy for All in the Americas" and all its scope, we invite you to watch the interview Hanz Schulz, in the attached video aired by CNN Chile, in spanish. Kulka said that his group made partnerships with the education sector to integrate technology in education. Another aspect related by Kulka, referred to the use of renewable energy within enterprises, such as mining, competing with conventional energy. Self Propelled Pile Driver, Pauselli M900. Pile driving Mod 900 is a machine of large dimension. It has been realized to work in very hard soils. The machine can assure an excellent stability and quickness in installing piles of large dimension. The standard model has a double exension column and can install piles of a maximum height of 4mts. On request, it is very easy to apply on the standard pile driver double extension column with double positioning of yhe hammer holder, in order to install piles of a maximum height of 4,6mts.